Disney has had great success over the years with their vast hotel empire at both Walt Disney World and Disneyland. However, there’s a few plans that didn't quite become a reality for a variety of reasons. They never left the drawing board, never broke ground (well most of them), and never truly became a reality beyond their concept art. Many Disney enthusiasts believe these plans could be carried out some day in the future while others believe they are a thing of the past and nothing more. Nobody knows for sure, but we can always dream of what these “forgotten” resorts could have been like. However, you can't help but wonder how different today’s Disney experience would be if those designs would have become a reality. We can never know for sure, but we can always enjoy the ideas of the past and learn something new through Walt Disney World’s history. The history is what made today’s parks a place that has created memories for your family as well as mine for generations. There’s nothing quite like it, but there’s always something new to learn about it and with that we’ll take a look at the forgotten resorts. In the early days of the Disney resorts, 3 hotels were planned in quick succession to open in the years following the debut of the Magic Kingdom. Unfortunately, the resorts were never fully developed. However, the plans for the resorts were grand and many just steps away from being constructed. The Persian Resort was no different. The resort was going to be to located on the east side of the Magic Kingdom along the edge of Bay Lake. Many versions of the renderings even proposed a second monorail loop which would connect the resort directly into Tomorrowland at the Magic Kingdom! The resort plans were incredibly developed and would feature an enormous domed common area where guests could relax, shop, and be entertained in a variety of unique ways in the “theme” of the Persian culture. Unfortunately, the resort and two others were all but forgotten when the 1973 Oil Embargo halted tourism across the nation. Disney no longer had a need for new and elaborate resorts, and the plans, no matter how elaborate and innovative, were completely forgotten by the company. Fortunately, this is the one of the of three proposed designs that could actually still become a reality, no matter how unlikely that may be. The other proposed resort locations have been filled or reevaluated, but the area where the Persian development would have been located is still a largely undeveloped area. However, if the resort was built today, it would be located very close to the recently built Bay Lake Tower. A very unlikely build decision for the Walt Disney Company. Just like the Persian Resort, Disney had great plans for the Asian Resort Concept and had even gone as far as to clear land for the new development in the process of building the Seven Seas Lagoon! Later on, as many of you may recognize, the Grand Floridian Resort was built in its place which ultimately led to a reconstruction and development of the designated land. The resort was going to be a very unique concept that fit not only a cultural mold that would entertain as well as educate, but also invent new experiences along the way. It was to be a location that sat on a unique square peninsula jutting out into the Seven Seas Lagoon, a design that many have never experienced before. It was one of those ideas that only Disney could truly accomplish and do so in a way that would set a standard in design and guest expectations for years to come. Just like the Persian Resort, Disney’s Asian resort suffered the same fate and disappeared shortly after it was planned. Tourism dropped off and the need no longer met the ambitions Disney had for the resorts. The attendance numbers, according to Disney rumors over the years, could not support the new resorts. The Venetian Resort has a unique history and has actually been “forgotten” twice rather than once. That just goes to show that a good idea never truly fades away with time! Imagineering is always planning the next step even though we may or may not know what’s next as the consumer. The resort was originally planned to be located on the area of land between the contemporary and what is now known as the Transportation and Ticket Center. While the resort was grand in scale and had plans for a gondola ride through canals, shopping for all kinds of merchandise, and a multitude of resort rooms. Unfortunately, it was also abandoned as the oil crisis struck the tourism industry across the nation. However, this time it was not forgotten completely. During Eisner's time as the CEO at Disney the idea almost resurfaced but as the land was cleared, it became obvious that the foundation that would need to be build would not be cost affective to build. Once again, the idea faded away. The story of the Legendary Years Resort was one that actually ended in great success that developed out of utter failure in many ways. However, it is a fairly unfortunate story that ended in fortunate success. As many of you may know, in the Value tier of resorts at Disney, you have the All Stars, Pop Century, and Art of Animation. Pop Century was originally designed to be a sort of companion resort across the lake from a second resort called The Legendary Years. Unfortunately, Pop Century was built first and the Legendary Years began construction and met an interesting road block. The timing of construction happened to fall directly in line with the somber events of 9/11. After the attacks, Disney faced one of their greatest challenges, a tourism industry that was stagnant as a result of the state of the nation and travel concerns. So, as the costs and struggles of building the resort were dealt with, the project was ultimately abandoned (quite literally). In the years that followed, Pop Century remained open and The Legendary Years, across the water, remained untouched. Strangely, Disney never made a serious effort to cover up the abandoned resort or alter the look of the buildings until years later. Thankfully, this isn't where the story ends. 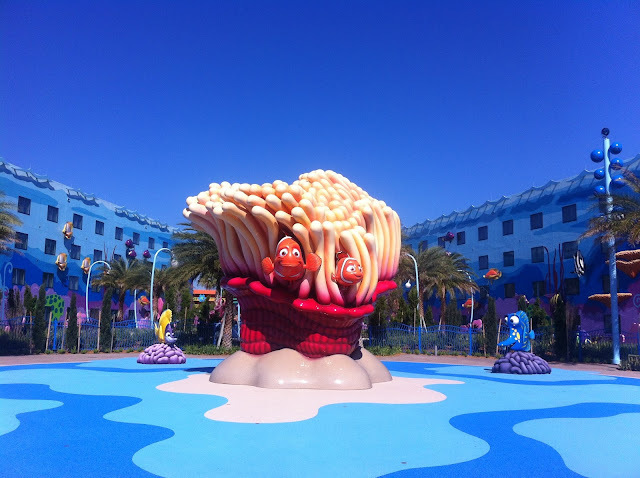 In May of 2012 Disney officially opened the Art of Animation Resort and, you guessed it, it is what replaced the Legendary Years. Interestingly, many of the buildings created originally were updated and developed into what became many of the rooms at the Art of Animation. So, you may not remember the Legendary Years, but many of you may have stayed in the very same room that was designed to be a part of the original resort and never knew it! Thankfully, the crisis that caused these resorts to be forgotten played a role in what the parks and resorts would later become. Tragedy is never a good thing, but through unfortunate events, opportunity often results. The worst of situations can create the most incredible developments. 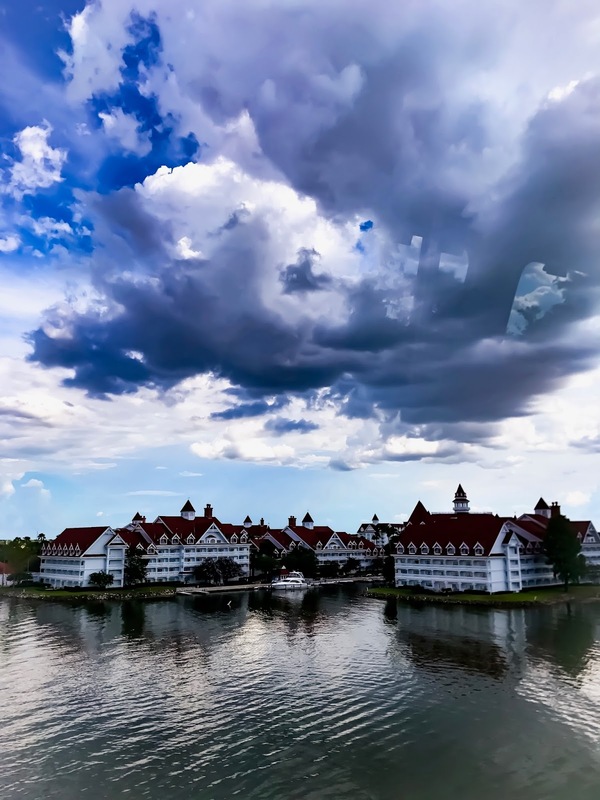 These resorts may be “forgotten”, but with Disney’s recent push towards expanding the Disney Vacation Club to new properties and new locations, we might just have a chance to experience a variation of one of these proposed ideas in the years to come. It may not be likely, but at the same time rumors have been spreading like wildfire through the Disney community recently, so you never know what’s coming next! As Walt Disney once said, the parks will never be complete! The Walt Disney Parks and Resort are changing and adapting as the world around them changes each and every day. New ideas develop and some older ideas get left behind, but Walt Disney World may have never been the resort we know today if it weren't for the little changes along way. Unfortunately, some copyright laws prohibit us from sharing the original concept art legally here on the site, but if you want to check out what any of these resorts original designs looked like, hop on over to google images and type in the resort name for a closer look! As always, if you have thoughts, concerns, questions, or even some tips of your own to share, don't hesitate to reach out to us on Facebook or your favorite social media platform. Give us a follow while you're there and we'll keep the conversation going in the future. We're not the largest Disney community, but we're one that's there and one that listens. Thanks for reading and have a wonderful day wherever you are! Need help planning your vacation? Let our friends over at Destinations to Travel (FREE - no obligation quote request form below) help you out at no additional cost to you! Their services are free and a great way for you to help out the site at no extra cost to you! Last but certainly not least, if you're starting the planning process, a great place to start are with some of our top planning articles! Looking for dining? Check out Disney World Dining Tips For 2018. Want to start with some more tips, 44 Excellent Disney World Tips for 2018 or Disney World Planning Guide and Tips For 2018 are a great place to begin! 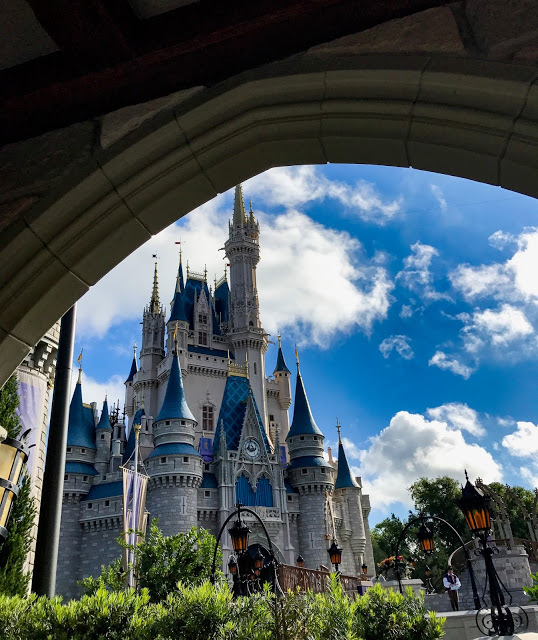 Looking to save money on tickets, check out our friends over at The Official Ticket Center for great deals that even made it into our 2018 Discount Disney World Ticket selections! Thanks for reading, and until next time, have a wonderful rest of your day!